April 18th, 2019 new information about Vanguard’s TV show and card game will be revealed, including a brand new kind of Gift! The final decisive battle to decide the future of Vanguard begins, between Aichi vs the Destiny Conductor. Meanwhile, on the Planet Cray, the forces of Brandt continue their war against the forces of Cray. During May, 3 random people will get past Winner Cards in addition to the normal promotion. AUTO[VC/RC]:When your other rear-guard is retired by the ability of your opponent’s card, COST[Soul-Blast 1], and put one of those cards into your hand. AUTO[RC]:When it attacks, this unit gets [Power] +3000 until end of that battle for each card in your damage zone. CONT[VC/RC]:If you have five or more <Hero> on [RC], all of your guardians get [Shield] +10000. CONT[VC]:All units can only attack the vanguard. 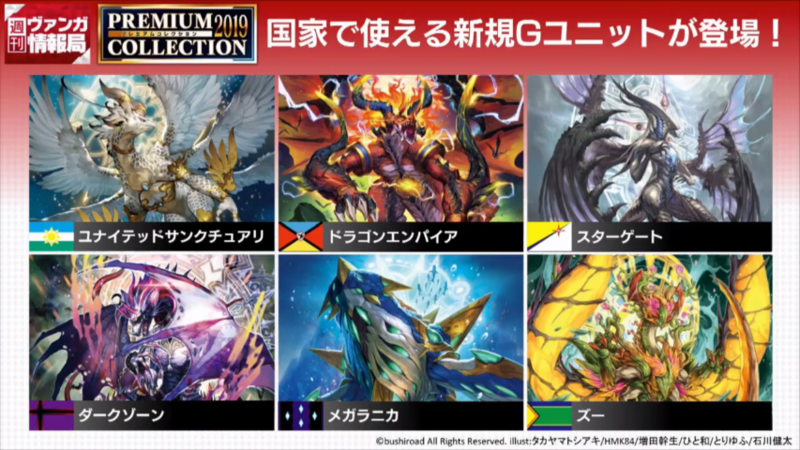 AUTO[VC]:When it attacks, if your front row has four or more units, until end of turn, this unit gets [Power] +10000, then, COST[Counter-Blast 4], and when your opponent would call from his or her hand to [GC], he or she must call three or more at the same time. [Stride]-Stride Step-[COST][Choose one or more cards with the sum of their grades being 3 or greater from your hand, and discard them] [Stride] this card on your [VC] from face down. until end of turn, one of your rear-guards gets [Power] +10000/☆+1. If your soul has four or less cards, draw two cards, and [Soul Charge] 5. [AUTO][VC]:At the end of the battle it attacked, [COST][Soul-Blast 15], [Stand] one of your rear-guards, and until end of turn, your opponent cannot call sentinels from hand. [Stride]-Stride Step-[COST][Discard a card with the same card name as a card on your [VC]] [Stride] this card on your [VC] from face down. [CONT][G Zone]:This card cannot be turned face up by abilities. If this card is face up, you can [STRIDE] without paying the [STRIDE] cost. [AUTO][VC]:When placed, [COST][Counter-Blast 1 & Soul-Blast 1], call as many cards from your hand to all [RC] as possible, and draw three cards.